Montecristo Classic Cigars - Buy Premium Cigars Online From 2 Guys Cigars . 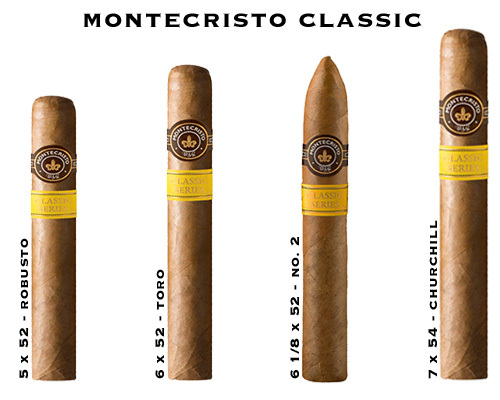 This relatively new addition to the Montecristo line is medium-to-full bodied. Yet, is smooth without being overpowering. It has a Connecticut Shade wrapper and Dominican filler and binder.